Memory is the first game in the series Fun For Kids. This is the perfect game for preschool/kindergarten training memory and recognition. Memory – Fun For Kids is a super fun memory game for children in ages from 2-3 years and up to adults. Memory – Fun For Kids is an excellent and fun way of training yours or your children’s recognition, concentration and memory skills. The game has 6 different levels that starts with a very easy level for the smallest kids with only 6 Memory cards and up to 62 Memory cards at the most difficult level which also makes this quite a challenge for older children and even adults. For the most difficult levels Tablets are recommended but it’s still fully playable on 3.7″ and larger displays. 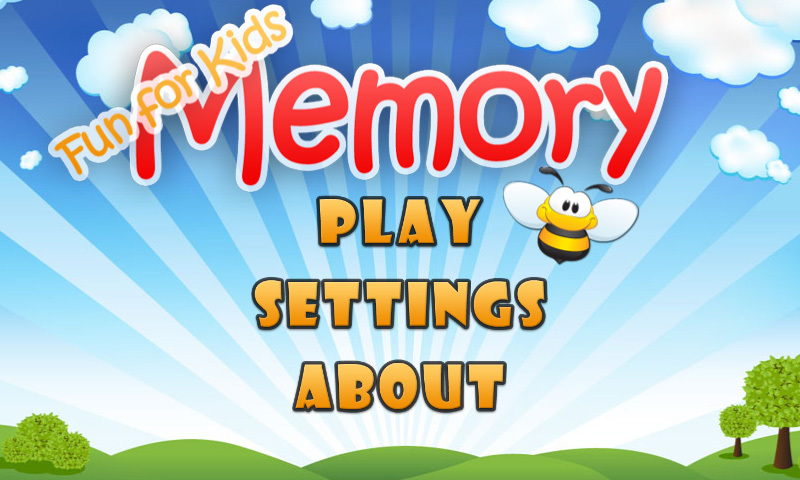 Memory – Fun For Kids is optimized for both phones and tablets with HD images. 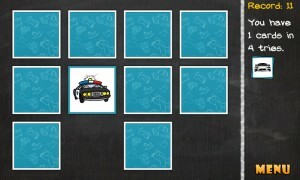 There are currently two themes, one with cute and funny animals and one with all sorts of vehicles that makes this Memory game suitable for both boys and girls. You can select theme or just let the game choose one for you randomly for each round of Memory. Each level has its own High Score / Record. In Memory – Fun For Kids, there’s a little bee that fly around and helps out in the game and talks to the player (can be turned off in settings if it get annoying). This game is also suitable for usage in kindergarten/preschool as well as at home.